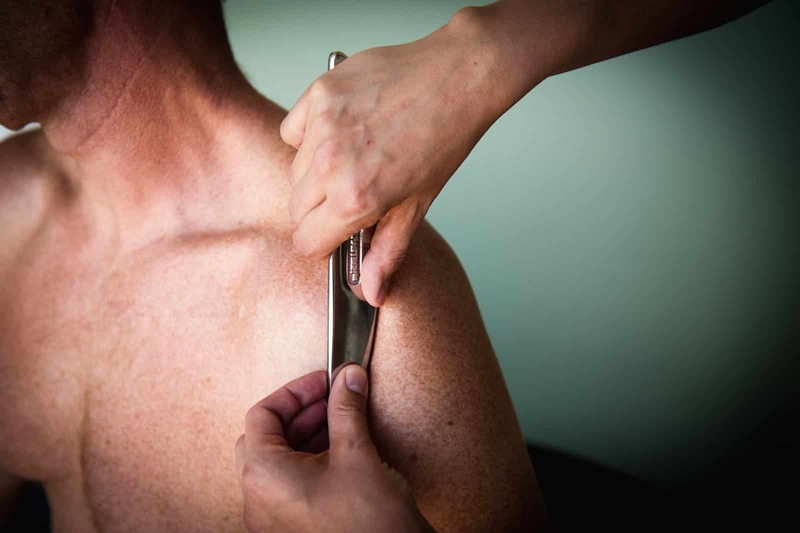 The Graston Technique incorporates a patented form of instrument-assisted soft tissue mobilization. This enables your health care provider to effectively detect and treat scar tissue and restrictions that affect normal function and can result in neck pain, shoulder pain, tennis elbow, back pain, and foot pain. Why Does a Soft Tissue Injury Cause Pain? Also known as fascia, soft connective tissue is located just under the skin and is a white membrane that wraps and connects the muscles, bones, and nerves of the body. When the muscles and fascia are unable to stretch, a tear can occur, resulting in pain, soreness and limited flexibility. The majority of patients usually receive two treatments per week over four to five weeks. While every patient is different, the majority of patients have a positive response and reduced pain by the third or fourth treatment. Can the Technique be Used for Back Pain? Yes. In a study published in the Journal of Manipulative and Physiological Therapeutics, by WI Hammer and MT Pfefer, patients experiencing low back pain achieved pain relief after six Graston Technique treatments.